An example of resources police use to track suspected gang members: The Schaumburg Police Department's gang information booklet. Dusti Proffit has been stopped by the Schaumburg Police Department five times since getting his driver’s license last October. On one occasion in April, he was driving home from his job on the circulation desk at the northwest suburb’s public library when officers pulled him over for having two broken tail lights. They searched his car and book bag, and asked if he belonged to a gang, took drugs or carried a gun, he said. She also fears her son’s name may be on a Schaumburg police database of suspected gang members. Department officials would not comment. Schaumburg’s database is one of many powerful “criminal intelligence systems” used by law enforcement agencies to track people suspected of gang involvement or criminal activity. The databases, and the note cards police use to record information about people they stop in the streets, are widespread. 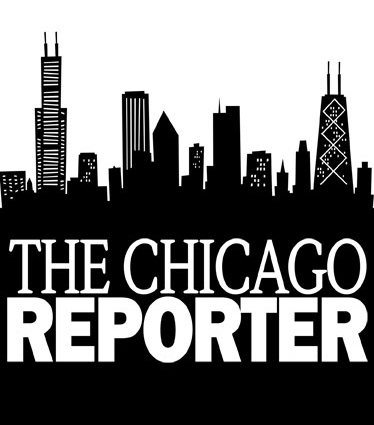 The Chicago Reporter surveyed 129 suburbs in the metropolitan area with more than 10,000 residents. Of the 120 that responded, 58 percent use databases to track suspected gang members. Police say the databases provide useful, even life-saving information. “Gangs are very transient, always trying to expand their turf and drug business. [Computers] are one way to keep track of them,” said Master Sgt. Lincoln Hampton, a spokesman for the Illinois State Police. “If you run into a suspicious subject, you –¦ find out who he is. He may not be doing anything against the law, but you may want to fill out a card anyway. He may have just done something or be about to do something,” he said. But critics say police may be targeting young people and minorities, including some who have never been arrested or charged with crimes. About 22 percent of the 448 people listed in the Schaumburg police database between March 1997 and March 1998 were black, though blacks make up only 3.7 percent of the village’s population of 75,758, according to the Reporter’s analysis and 1997 census estimates from Claritas Inc., a market research firm. And 54.7 percent of those on the list were age 20 or younger. Schaumburg officials argue that many of the people stopped by police may be from outside the community. The state police maintain the largest database in Illinois. The Law Enforcement Agencies Data System, or LEADS, tracks more than 68,000 gang members. While the file includes mostly gang members with prison records, state policy allows local departments to add individuals who have not been convicted of crimes. State police refused to provide the racial makeup of the list or reveal how many people did not have arrest records. Once on a list, a person can find it difficult to be removed, said former Chicago police Cmdr. Howard Saffold, chief executive officer for the Positive Anti-Crime Thrust Inc., a community organization that focuses on criminal justice. But the risks are low and the benefits are high, said Sgt. Edgardo Perez of the west suburban Batavia Police Department, who once found his name on a gang list in a neighboring suburb. The Cook County Sheriff’s Police Department keeps a database of more than 16,000 suspected gang members. About 10 percent of them have never been arrested, department spokesman William Cunningham said. African Americans make up 66 percent of the database, the records show. Whites are 20 percent and Latinos 13 percent. Inclusion in a database can influence how a person is treated by law enforcement in the future, Fry added. “If they get put in LEADS and are stopped for something small like a curfew violation, they will be treated like a gang member rather than a suburban kid who stayed out too late,” she said. Who can be labeled a gang member ultimately may be decided by the courts. This fall the U.S. Supreme Court will hear arguments on a city ordinance that permits police to order suspected gang members loitering in public to move along–”and to arrest those who refuse. And in March 1997, the Daley administration filed a motion asking the federal district court in Chicago to ease restrictions on creating a database for suspected gang members and sharing this information with suburban police departments. No decision has been made on the motion. Chicago police said they stopped collecting this information in the 1970s after revelations that a secret police unit called the Red Squad had investigated more than 800 groups because of their political beliefs. In 1982, the city signed a federal consent decree forbidding the practice. A database is the last thing the city needs, said G. Flint Taylor, an attorney with the People’s Law Office, which specializes in civil rights and police misconduct cases. Police take the attitude that if they overreach, “that’s too bad, we have a war going on out here,” Taylor said. When a black man wearing a corn row hairstyle and a beret drove by Schaumburg Police Officer Michael Skjoldager on a weekday afternoon in May, the 15-year veteran turned his car around and started following him. “I haven’t seen him around here. –¦ I also get suspicious when someone tries to get away from me,” Skjoldager told the reporter who accompanied him. A check of the man’s license plate showed his gray car was registered in Schaumburg. He began weaving in and out of the village’s maze of residential developments and was soon out of sight. Skjoldager searched for a few minutes before giving up. But in 448 instances between March 1997 and March 1998, Schaumburg officers stopped “suspicious” people and recorded the encounters on pocket-size “field interview cards,” which later were entered into the department’s computers. Schaumburg police have used the cards for at least 20 years but revised them in 1995 “to document non-criminal contacts with –˜suspicious’ individuals and/or suspected gang members,” according to the department’s 1996 annual report. A database of these cards obtained by the Reporter includes information on where police encountered suspects, why they were stopped, and their physical descriptions and gang affiliations, if any. Police blacked out the names in the database to protect the privacy of the individuals. While the percentage of blacks on the list is six times greater than the village’s African American population, Deputy Chief David E. Kujawa said many people police stop may be from out of town. The 1990 census, the most recent information available, showed more than 50,000 people–”85 percent of the work force–”lived outside the village. And Schaumburg’s Woodfield Mall attracts 27 million visitors a year, said Marketing Director Paula Guiliano. The database shows that eight people were stopped for driving under the influence of alcohol. In 50 cases, police listed “suspicious” behavior or “loitering” as the reason for the stop. Nearly 90 percent of the suspects are male. Schaumburg police label Latinos and Asians as “white,” so the Reporter could not determine how many of them were stopped. According to one database entry, a 27-year-old black man was stopped in June 1997 when police found him “sitting in his car reading the newspaper.” The entry stated that the man told police he had just applied for a job at a local company, but Kujawa would not provide additional information. And there was the case of Frederick D. Armstrong, a 32-year-old African American who lives in the Oakland neighborhood on Chicago’s South Side. Schaumburg police identified him as a gang member when they stopped him in August 1997. Police pulled Armstrong over for not having a license plate sticker and saw two new Sportmart shirts on his back seat. Armstrong, who worked at the sporting goods store, said he bought the shirts for his brother but did not have a receipt. He was arrested for theft and eventually pleaded guilty in exchange for the three weeks he served in jail awaiting trial, he said. He now works at a Chicago rubber factory. Schaumburg classifies people as gang members if they meet at least two of 18 criteria, which include gang-specific tattoos or clothing, frequent association with known gang members and admitted gang membership. Forty-four people in the Schaumburg database were labeled as gang members or associates, and 21 of them were black. “The criteria are not subjective, it is pretty clear cut. We wouldn’t consider someone a gang member because of their jacket. We would look for self-admission or who they were hanging around with,” said Sgt. David Antes, who works in Schaumburg’s special investigations unit. Field interview cards are as old as police departments, according to Richard Greenleaf, a professor of criminal justice at Loyola University Chicago. As a patrol officer in New Mexico 10 years ago, Greenleaf carried his cards in a recipe box, a method he learned from older officers, he said. Today, the recipe box has been traded in for a sophisticated computer. Perez said his database will be up by the end of the year. Batavia then will join 69 other suburban police departments the Reporter found that use internal computer systems to track suspected gang members. Some of the departments collect only names and addresses, while others gather detailed information. Police in northwest suburban Des Plaines include photos of suspected gang members, taken with their permission, said Sgt. Bill Prim. They plan to scan at least 100 photos and mug shots into their computer system. The Reporter found that 83.6 percent of the departments surveyed forward their gang information to LEADS, the state database. In 1996, officers made more than 402,000 queries to the database–”about 1,750 contacts a day, according to state records. That same year, police departments in suburban Cook County added 3,257 names to LEADS. An additional 6,517 names came from prisoners who moved to the county after being released by the Illinois Department of Corrections. Under the Red Squad consent decree, Chicago officials say they are prohibited from entering names into the LEADS gang file, but officers can retrieve information from the database. In April 1994, however, the state police launched a new program that uses LEADS to help solve crimes and track gang migration. Only known criminal street gangs are included in LEADS, though any law enforcement agency can add a gang to the list. Suspects can be added if they admit gang membership or are named by a reliable source, according to the LEADS Reference Manual. Some of the LEADS standards are open to interpretation, said Jerry Elsner, executive director of the Illinois State Crime Commission, a non-profit crime prevention organization based in west suburban Lisle. “They could be Gangster Disciples or sorority sisters, and both fill the criteria to be included: traveling in pairs, dressed alike, from organizations with strong leadership, and maybe the sorority sisters broke the law serving beer at a party,” he said. Yet local departments use varying criteria for their databases. Des Plaines, which is in the process of setting up a database, will rely on a combination of self admission, criminal conviction or “visual observation of gang activity,” such as tattoos and hand signals, Prim said. In 1996, one police agency removed more than 700 gang members from LEADS because of questions about how officers had identified them, according to state police documents. State police would not identify the agency. Departments are supposed to review their submissions every five years, but there is no guarantee that names will be removed. “We all know that as children we were not always as good as we could have been, but many people move on from this,” Perez said. He recommends that records be purged every two years for individuals who are not in prison and have had no contact with police. Sgt. Jeff Driskill of northwest suburban Hanover Park said he reviews his LEADS entries once a year. “I recently removed a young fellow who was in the gang file but is now married, [had] tattoos removed and has a legitimate job,” he said. The proper use of gang intelligence gathering has been hotly contested in California. In Orange County, the California American Civil Liberties Union sued Garden Grove police in 1994 for filling out field interview cards and photographing suspected gang members, alleging that people were stopped based on their race and attire. In a February 1996 settlement, police agreed to stop photographing people unless there is a “reasonable suspicion” they are involved in a crime. In 1992, 47 percent of all African American men between ages 21 and 24 in Los Angeles County were included in the state’s gang database, according to the Los Angeles District Attorney’s Office. And in 1997, more than 90 percent of the people in Orange County’s portion of the database were minorities. Nearly half had never been arrested, according to the Associated Press and the Los Angeles Times. The U.S. Commission on Civil Rights, which is investigating California’s gang databases, will release its findings this fall. Mashan Willis, a 19-year-old black student at Northern Illinois University in DeKalb, believes his name made it into the Chicago Police Department’s database–”and he wants it removed. Mashan Willis, the son of two police officers, was talking with friends on the street near 68th Street and Martin Luther King Drive on Oct. 30, 1995, when he was chased and hit by Chicago police, he alleges in court documents. One of the officers threatened to hit Willis again if he did not admit being a Gangster Disciple, and Willis eventually agreed “out of fear of bodily harm,” his court filings state. Willis was charged with criminal damage to property for allegedly throwing bricks and bottles at a police surveillance van, but the charges were dropped. His arrest record, however, remains in the Chicago police system, Standish Willis said. Unless a court order is granted, arrest records remain in the department’s system even if charges are dropped, said Jennifer Hoyle, a spokeswoman for the city Department of Law. “Now this kid has to prove to them he is not a gang member, he has to prove his innocence,” Standish Willis said. State police estimate Chicago tracks more than 38,000 suspected gang members with arrest records. Despite three Freedom of Information requests and numerous calls, Chicago police refused to provide information on the city’s databases. The Red Squad decree prohibits Chicago police from collecting or sharing the names of suspected gang members who have not been arrested, Mayor Richard M. Daley said at a March 6, 1997, press conference. Officers can, however, use field contact cards to collect information on some of their contacts. But the cards, which are only kept for six months, are not entered into a central database, according to Lt. John A. Matula of the department’s Office of Legal Affairs. In March 1997, the city asked the federal court to modify the decree so police can create a database of suspected gang members. The city has interpreted the decree “in an absurd way in order to discredit it,” said Richard Gutman, attorney for the Alliance to End Repression, another of the original plaintiffs. Organizations representing 105 municipalities support Chicago’s position, according to the city. Contributing: Rui Kaneya and Tonika Lewis. Tokumbo Bodunde, LaJeanne Grinnage, Violet Law, Karen Shields, Cedric L. Stines and Kat Zeman helped research this article.